Despite the disappointment brought about by the outcome of the talks at Mont Pelerin for a Cyprus settlement, President of the Republic of Cyprus Nicos Anastasiades has assured that he is determined, taking into account the concerns of the Greek Cypriots, to make all necessary moves in order for the dialogue to resume. In his opening remarks during a televised press conference, President Anastasiades said he did not wish to enter a blame game, and presented the facts as they unfolded at Mont Pelerin, noting that in order to achieve a solution that will be acceptable by both communities, not only must the agreed upon points be observed, but the solution must also primarily meet the principles and values of international and European law, and allow the establishment of a viable, functional and modern European state. President Anastasiades said he wished he was able to announce progress in the dialogue. “I am truly sorry that I am obliged instead to set out the facts which led to the failure of reaching a result, which was our pursuit in Switzerland”, he said. He noted that, although he was not going to play the blame game, he would not leave allegations that it was the Greek Cypriot side`s fault unanswered. The President said an agreement had been reached on October 26 for a meeting at Mont Pelerin, which stipulated that the negotiations would focus mainly on the issue of territory and that for progress to be made, specific criteria should be agreed upon and set on maps, which would allow for a date to be set for a multilateral conference. 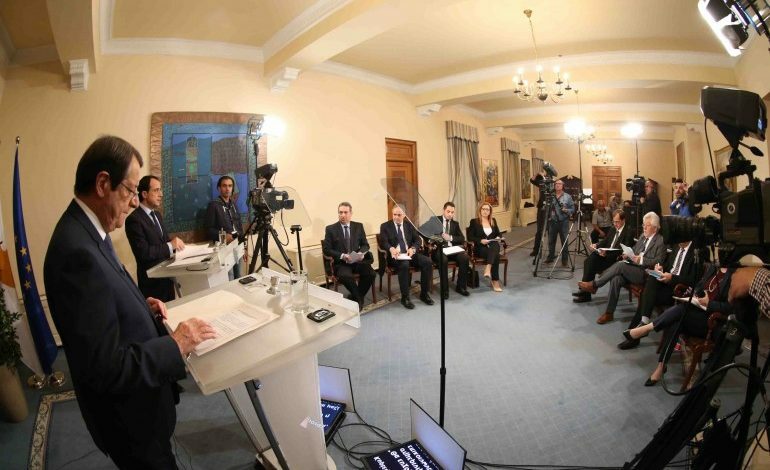 “We travelled abroad at the request of the Turkish Cypriot leader, in order for – as he said – to hold free negotiations, without the fear of leaks”, the President pointed out. He noted that during the talks at Mont Pelerin it was agreed that a successful dialogue would be based on an agreement on the territory of the Turkish Cypriot constituent state after territorial adjustments, the number of refugees to return under Greek Cypriot administration, and the length of the coastline for each constituent state. President Anastasiades pointed out that, in order to show political will, he accepted not to set specific criteria, but criteria with “a slight deviation”, which would however allow for a final arrangement. “I also expressed my readiness to examine special arrangements for the status of the Turkish Cypriots who might remain under Greek Cypriot administration, provided that this status would also apply for the Greek Cypriots who would opt to return to the broader region of Karpasia”, he said. The President noted that in the talks that ensued an agreement in principle was reached on the extent of the Turkish Cypriot constituent state, which would be between 28.2% and 29.2%, Greek Cypriot and Turkish Cypriot positions respectively. Furthermore, there were promising indications regarding the extent of each constituent`s coastline, he added. 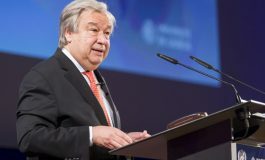 Regarding the number of refugees to return under Greek Cypriot administration, the UN calculated 78,247 minimum and 94,484 maximum, the President said. 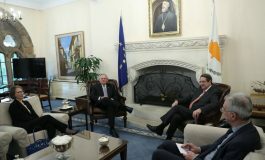 President Anastasiades noted that during the onset of the second phase of negotiations, after the political leaders in Cyprus had been briefed and consultations had been held with Greece, the Turkish Cypriot side expressed concerns over the participation of Greece in a multilateral conference. There followed a communication with the Greek Prime Minister and moves by the UN towards Turkey, and the Greek concerns were overcome and a preliminary date for the multilateral conference was set, provided that there was an agreement on certain aspects and maps were tabled. The President adopted the UN position and said he was willing to accept a minimum of 78,000 and a maximum of 92,000 refugees to return, but the Turkish Cypriot side said the number should be 55,000 maximum and towards the end of the negotiations put the number up to 65,000. “The Turkish Cypriot side`s intention to link the chapter of territory with the chapter of security and guarantees was clear, in contrast with the agreement that at Mont Pelerin we would only be discussing the chapter of territory”, he said. President Anastasiades said he “rejected the proposal as unacceptable”. 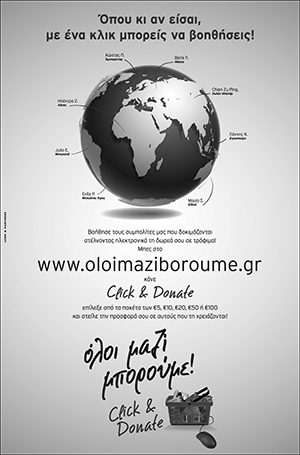 He said “the non-constructive positions of the Turkish Cypriot side did not stop me from making intensive efforts and submit compromise proposals, even until the end, in order to achieve convergences”, adding that, “despite my efforts, this was not possible to lead to further progress, due to the fact that the Turkish Cypriot side did not show the necessary flexibility”. “Despite the disappointment which was naturally produced by the outcome at Mont Pelerin, I would like to assure that I am determined and stand ready, respecting the justified concerns of the Greek Cypriots, without ignoring those of the Turkish Cypriots, to take all necessary action in order for the dialogue to resume”, the President said, adding that he was also ready to continue the talks in Cyprus from where they left off at Mont Pelerin, with intensified discussions in order to reach convergences on the pending issues in all chapters. Closing his remarks, the President thanked the Greek Prime Minister for his full support, as well as the Greek Cypriot side`s negotiating team for their invaluable assistance. Replying to questions, Cyprus President Nicos Anastasiades said that Turkey must back up its rhetoric with action as regards the ongoing process for the reunification of Cyprus. “It is not my intention to change everything that has been agreed on since 1977 until today,” he added. Turkey`s contribution to help resume the talks and achieve the desired solution is a necessary prerequisite, he pointed out. Asked about initiatives he may undertake to resume the talks, President Anastasiades said he has already spoken with European Council President Donald Tusk, European Commission President Jean Claude Juncker, European Parliament President Martin Schulz and US Vice President Joe Biden and would talk to UN Secretary General Ban Ki-moon later in the evening. He said he had asked for their contribution and their intervention towards the “necessary direction” so that the resumption of a dialogue with reasonable prospects for success can be made possible. Asked about the position the Turkish Cypriot leader maintained in the second round of talks in Mont Pelerin, he said that when it came to the critical time of guaranteeing at least a minimum of Greek Cypriot demands, there was a stance which was definitely rigid and did not leave any room for flexibility. He expressed the view that the progress achieved so far was achieved because it was on matters where the Turkish Cypriot side was more free, rather than on matters which have to do with the efforts of others to control the dialogue. Asked whether he has been in touch with Mustafa Akinci since his return from Mont Pelerin on Tuesday, he replied negatively, but said that this doesn`t mean anything. “If it is necessary of course we will be in touch and I don`t think our personal relationship has changed to a degree that it would create a problem,” he pointed out. He reiterated his determination to continue the effort to terminate 42 years of an unacceptable, as he put it, status quo, to reunify the country, rid it of Turkey`s occupying troops and create conditions of peaceful coexistence between Greek Cypriots and Turkish Cypriots. At the same time he assured that during the talks so far he never overlooked the concerns of one or the other side and expressed his wish that the Turkish Cypriot and Turkish side will respond with the same “creative way” so that the reasonable concerns of Greek Cypriots can also be addressed with understanding.